Why would I read a blog written by a terminally ill woman? That’s a question I’ve asked myself many times over the last few weeks… and yet, I can’t pull myself away from Kara’s story. You see, I’m one of those who struggles to make sense of the suffering in this world. Why do mommies and daddies get cancer? Why do we have to say good-bye too soon? Why does God allow His children to suffer with disease, pain, and grief? Maybe no one does. Not on this side of Heaven. Brittany Maynard’s story and recent death has nearly haunted me in recent weeks. It hurts to see someone so young suffer and face death… choose death. And somehow I found Kara. Kara is a 38-year minister’s wife. She’s a mother of four. And she captivates me. Actually, she gives me hope. And a visual of what it looks like to walk through the valley of suffering in the strength of Jesus. I really hope you’ll drop by and read her blog, Mundane Faithfulness. You won’t find answers there, but you’ll discover a beautiful picture of grace woven throughout the raw and transparent threads of Kara’s life. In the face of cancer and pain and suffering? 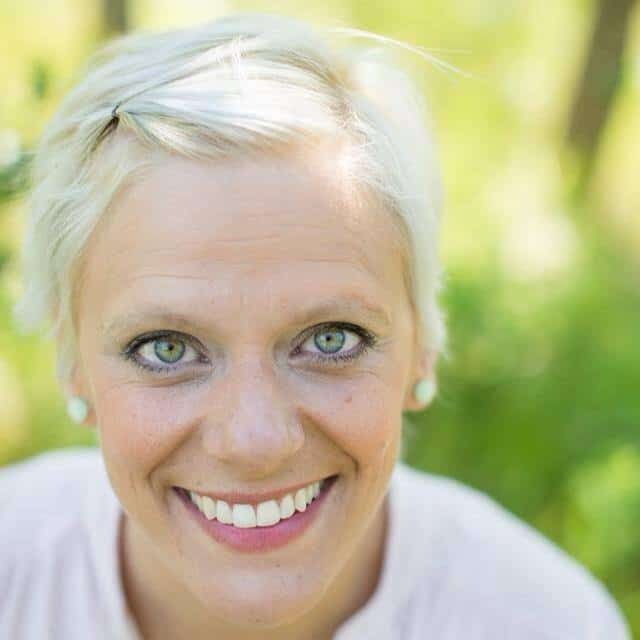 If Kara can choose to see her days through the lens of thankfulness, what’s my excuse? I don’t have much to share about personal suffering because, honestly, I haven’t really been there. Not in the true sense of suffering. But I am challenged to plunge very deeply into the beautiful grace of Jesus and let it carry me through the journey of my own life. My own trials and crosses. If Jesus’ grace is deep and wide enough for the Kara’s of this world, isn’t it enough for me too? So I’m looking hard at gratitude right now. It’s been on my mind a lot lately, and Kara’s statement took my thoughts even deeper. It’s time for the 4th annual 10 Days Without Complaining challenge. My kids and I already took the challenge. I’ll officially issue the challenge to you, tomorrow. If the next two weeks don’t upend my plans, I’ll be back nearly ever day for the next ten days with a few thoughts about thankfulness, joy, and whatever else. 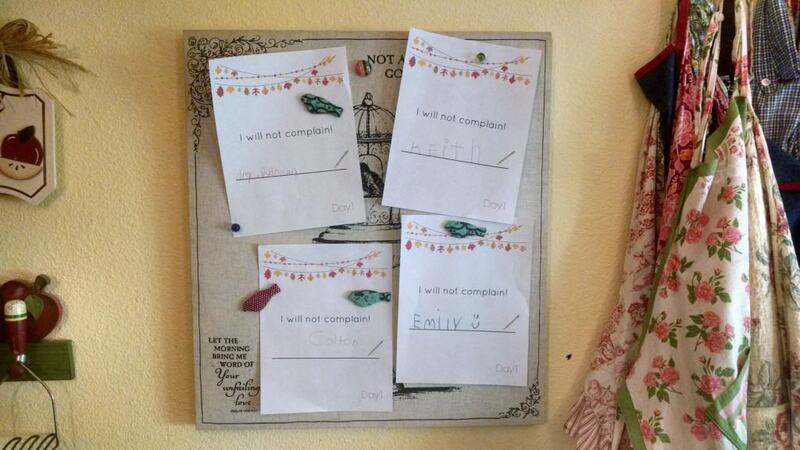 I have proof- my kids signed off on NOT COMPLAINING for ten days! Talking about a “no complaining” challenge at the end of a post about suffering probably doesn’t make much sense. Honestly, when I look around our world and I see the pain of humanity, I’m overwhelmed. And I’m not sure where else to turn… except to run hard into the grace of Jesus. And He says, “give thanks”. We all have crosses and “sufferings”. Gratitude protects our hearts in the midst of it all. I'm a little late, but want to join in your challenge too. This is yet another blessing Kristy. I will try to take sometime to drop by her blog. INDEED, gratitude is powerful. I LOVE her!!! I have her book on my tabletop and whenever I am tempted to complain about anything, I look at it and am reminded to be thankful instead. God is using her in a VERY powerful way. Lori, I really want to read her book. I think I’m going to order it from Amazon today! Looks like a read I don’t want to miss.